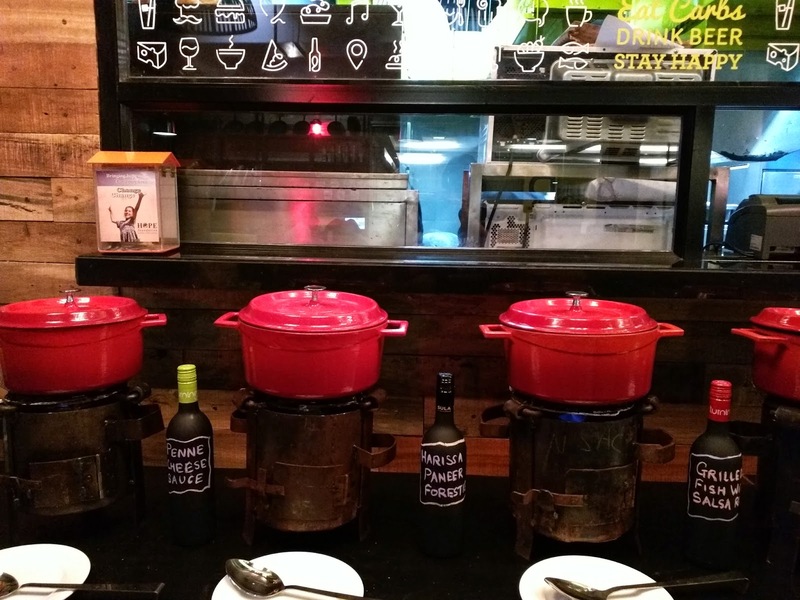 Jill Of All Trades: #NaviMumbaiFoodies check out Potpourri's Wednesday Buffet Dinner! 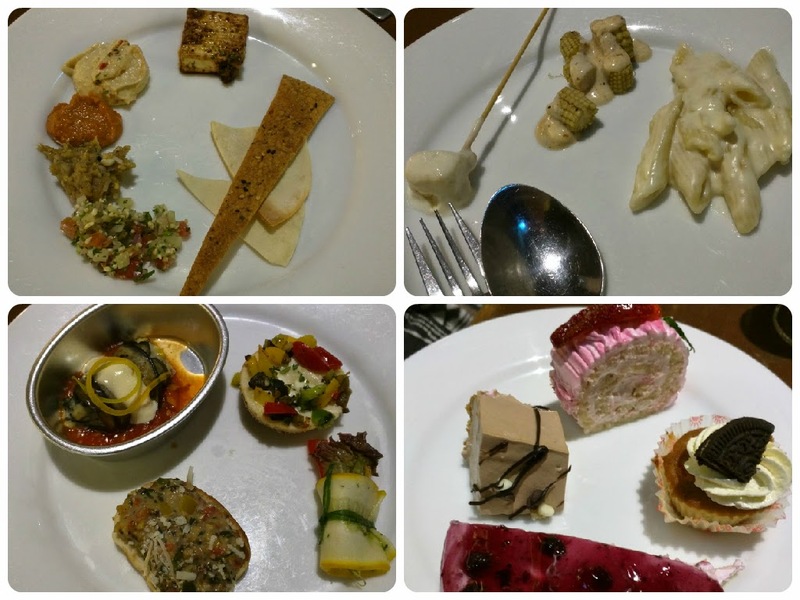 #NaviMumbaiFoodies check out Potpourri's Wednesday Buffet Dinner! 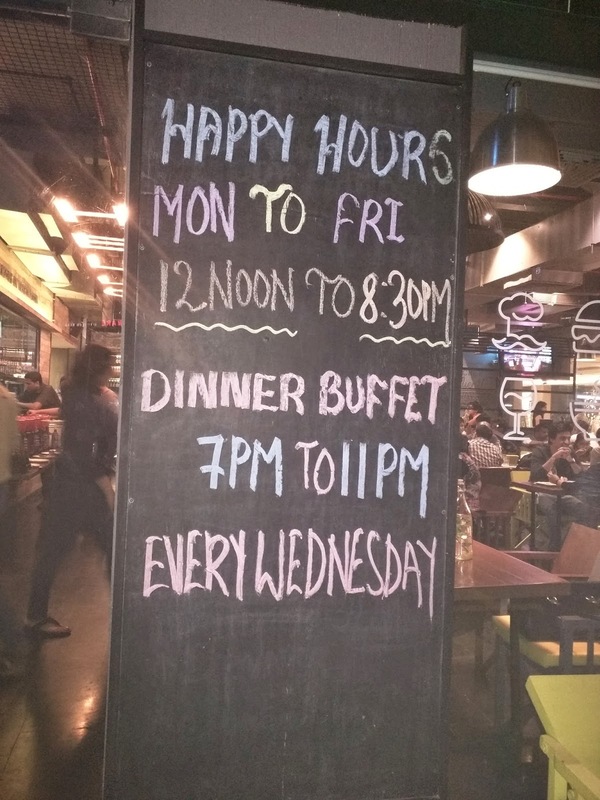 Though I have been to Pot Pourri at Inorbit Mall Vashi many a times, I did not know that they've begun buffet dinners every Wednesday starting this month! 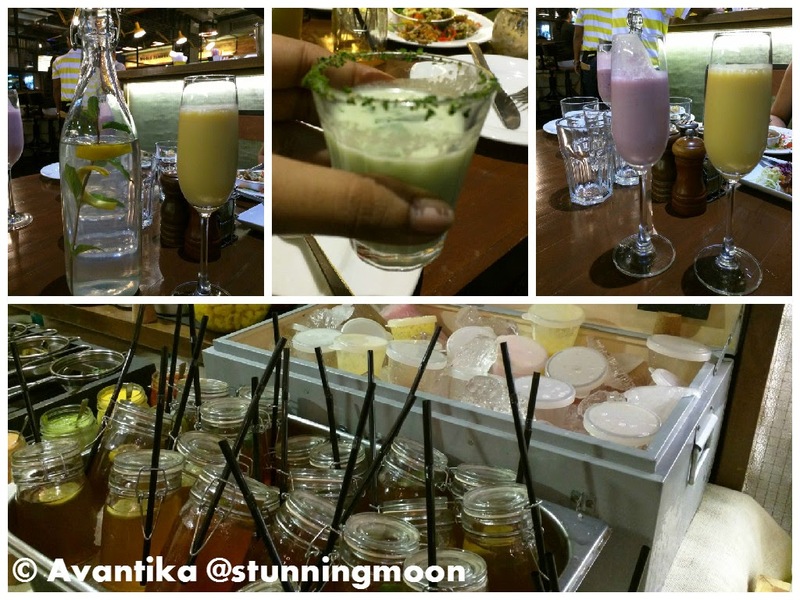 I could hardly contain my excitement when I saw the spread and all that at just Rs.650 per head. First lets talk about the decor & interiors. This place was renovated and they've done a fab job. Specially with the food quotes. The place can get a little cluttered & noisy though, specially when it's crowded on the weekends. 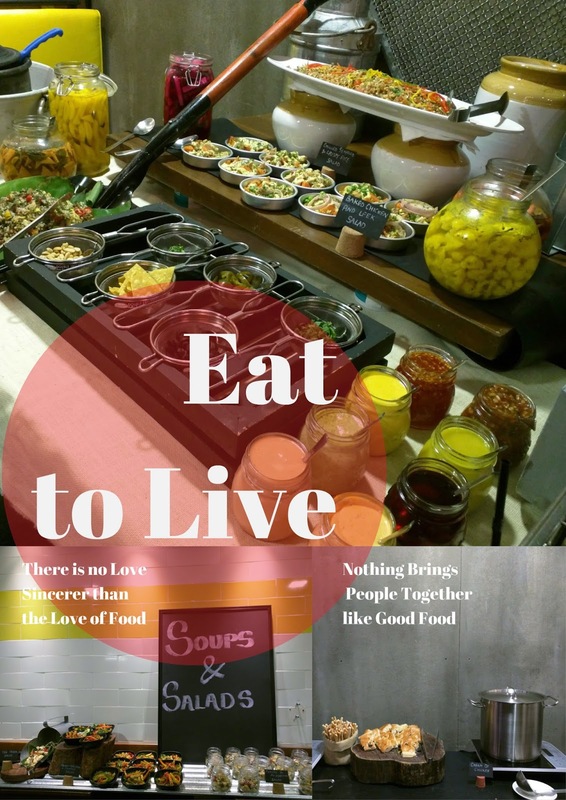 As the name suggests, they have world cuisine and had quite a variety for their buffet too. Soups & Salads, Entrée, Main Course, Drinks and Dessert! There was tomato soup and chicken soup, served along with breads and breadsticks. There were different kinds of salads, highlight was the Mediterranean eggplant and barley salad. The potato and mushroom salad was delightful too, and served in a cute little glass jar. I think there were 6 salads in all, and many varieties of dips too! I loved the colourful variety, it was very pleasing to the eyes. To quench our thirst we had the option between iced tea served in cute jars again, mango/black-current smoothie served in glasses or the simple option of fresh juices. Forgot to mention another unique offering : Chilled cucumber and coconut soup. It was quite refreshing! The smoothies were nice too, though I liked the blackcurrent one over mango. I also have always loved their regular water served with a slice of lime/orange and basil leaves! For Entrée we had the options of hummus, bruschettas, mini hot-dogs, cheese fondue, bagels, zucchini rolls (and all of this in both veg and non-vegetarian options!). I told you, it was a wide spread! The hummus and bruschetta were really good, something I would take again, had I not been stuffed simply by trying everything. For main course there was Penne Alfredo Pasta, Harissa Paneer Forestier, Grilled fish with Salsa Fossa, Rice etc. I was not very happy with the main course. The pasta was good, but not very hot. The paneer, I couldn't understand the taste. But it was okay, since I was almost fill thanks to everything else. I was really looking forward to the favourite part of any meal for me, desserts! 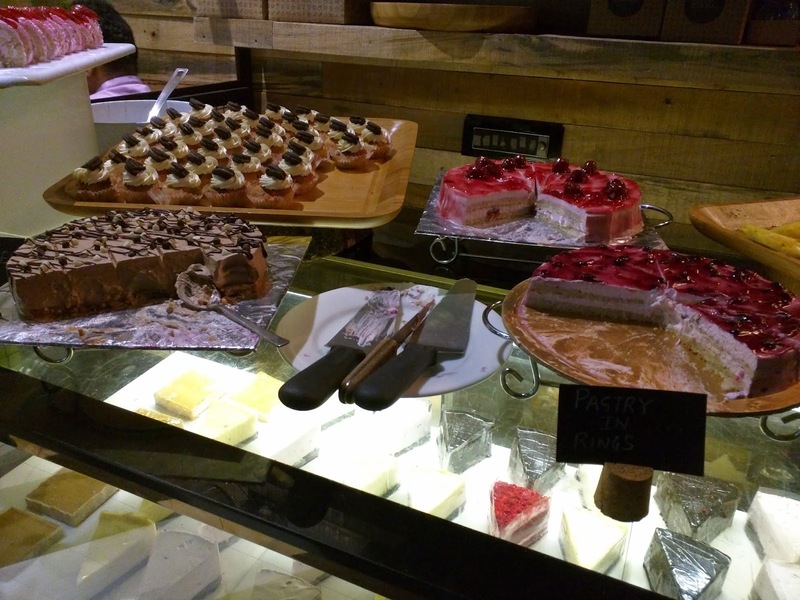 They had fresh fruits, pastries, chocolate mousse, mini cupcakes and a strawberry roll. Everything was too sweet for my liking so nothing exceptionally great to be mentioned. Overall, the variety was very enticing. I would suggest them to cut down a couple of dishes and concentrate more on quality maybe? Especially of the main course and desserts! I would definitely go there again with family for the soups, salads and starters! They made very efficient and smart use of their space to set up the buffet and have a-la-cart at the same time! Special mention to their staff who make ends meet! 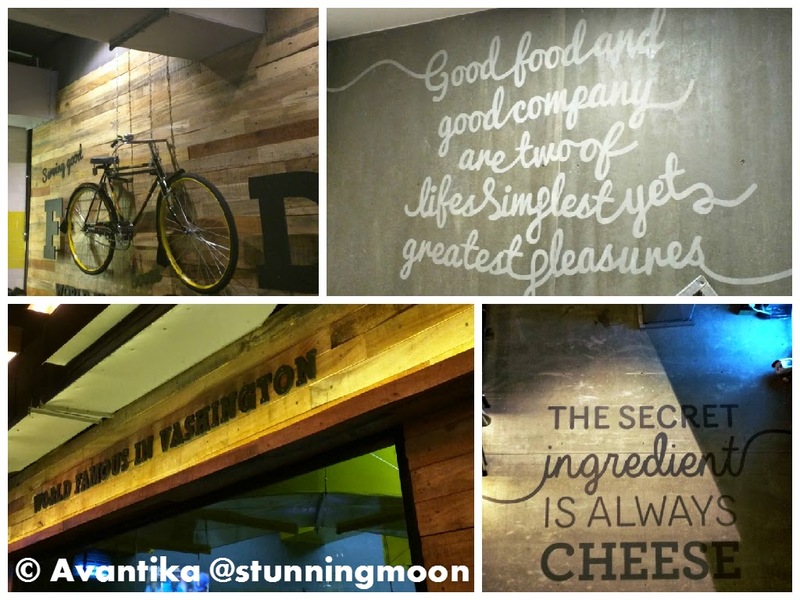 If you've been loving my food blogs, do comment and let me know! 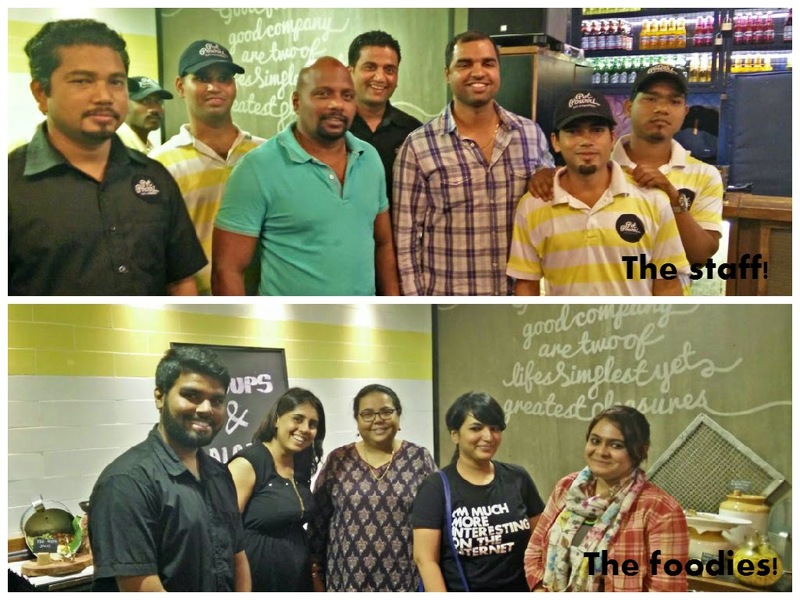 Stay tuned for the next place visited by the #NaviMumbaiFoodies and do follow us on twitter to!